WE'RE SENDING OUT A MAJOR LOVE TODAY! 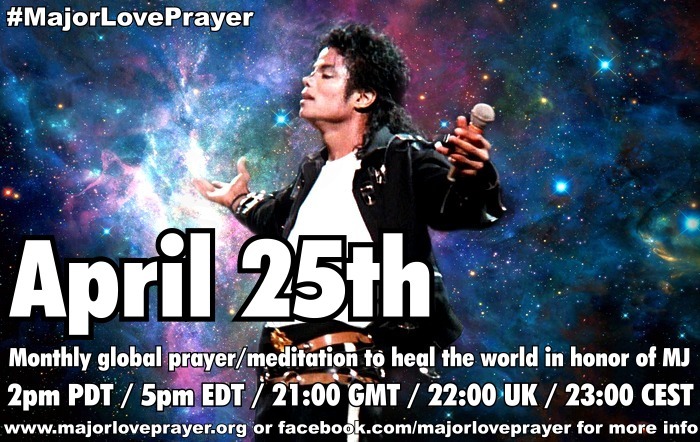 Please remind your friends and MJ forums and let's all be ready at 2pm L.A. time as we join together (world time chart - it's 22:00 GMT, midnight in Libya and 11:00am on the 26th in Christchurch, New Zealand). 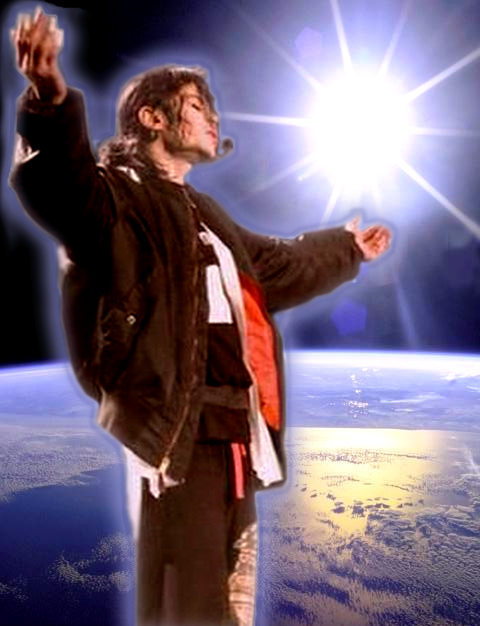 We'll be sending LOVE and asking for assistance from higher realms to heal the world and all its children. We ask for peaceful resolutions to conflicts (stop the violence!) and for the loving energy of compassion to awaken in the hearts of all humanity. "Whatever you believe, you become" and we believe in peace and unity. 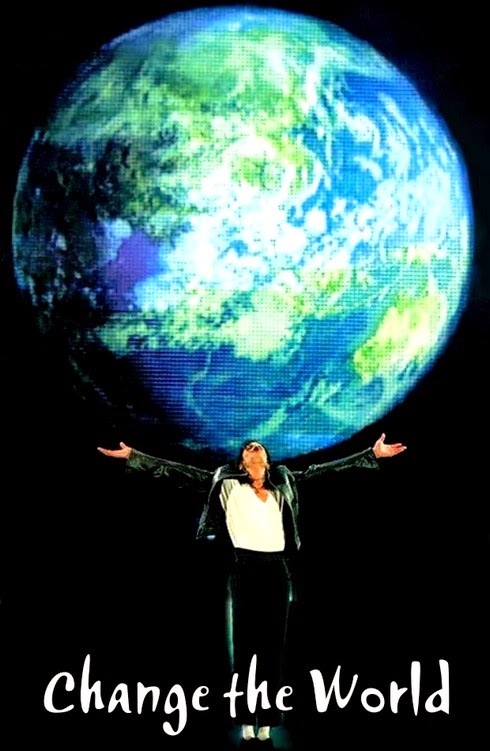 We believe there's a place in everyone's heart that is love, that we are the world, that change is truly possible and that we are ONE -- "one in joy, in pain, in love, in service and in consciousness." Now is the time. The world is awakening to a deeper understanding of LOVE, and WE (us, you, me!) are an important part of this wave. Thank you SO much, everyone! And here's something absolutely beautiful to listen to before our prayer. Attention: Your *March* prayer time may change! In mid-March, most of the U.S. (including California) will be moving to Daylight Savings Time. MLP is based on the time in Los Angeles specifically. Since other locations like Europe don't change their time until the end of March, YOUR MARCH PRAYER TIME MAY BE OFF BY ONE HOUR! Please remember to double-check your time before the March 25th prayer! March Time Zone Chart It should be back to normal in April as time changes will have caught up with each other. It's just March we need to be concerned about. We'll send out more reminders as the date approaches. The Dr Wayne Dyer video is amazing, thanks! Thank you for all your love that you will put into today's prayer. Thank you for being concerned about the world and for your help that you will offer by praying today. It's touching me deeply that we will at least try to make a change. You are all in my heart, dear loved and loving people! The prayer is in about 2 hours now, and I'm nervous about joining in. Since I cannot feel love or know what love feels like, I will try to visualize sending Healing Light. I have failed in my previous attempts in the Major Love Prayer, so I hope this will be a good one. The Holy Spirit will pray for me if I cannot. I'm glad to see the video I did in your site. This is one of the best places it could be. Thank you for sharing! Keep sending out a major love prayer! I'm with all of you. Major thanks to all of you! The energy was so powerful this month, wow! ♥ ♥ ♥ @Liz, thanks for your video and translating Wayne Dyer's comments to Spanish!